The House of Representatives has warned that the country may face another round of insurgency if the various skirmishes, especially the Fulani herdsmen/farmers’ clashes around the country, as well as influx of refugees are not properly managed. Nigeria, especially the north-eastern part of the country, has been under the Boko Haram siege for over eight years, with unquantifiable human and material losses on its trail. 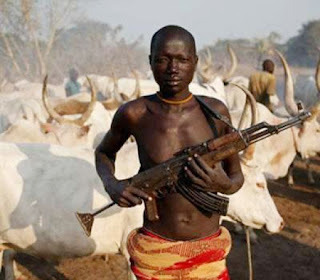 Warning of a fresh threat, the House, specifically, noted that hundreds of thousands of Fulani who migrated to neighbouring countries of Niger, Chad and Cameroun, following anti-grazing laws, may regroup and launch guerrilla warfare against the country. The lower chamber also alerted that more than 7,000 refugees have also crossed over to Nigeria, seeking asylum. Chairman, House Committee on Internally Displaced Persons and Refugees, Hon Mohammed Sani Zoro, made the disclosures in an interview with our reporters in Abuja. The herders/farmers clashes have become a common feature in some parts of the country, with each of the two groups protecting its economic interests. At different times, the fracas had led to series of killings on the two sides, while efforts to reconcile them always proved abortive. And as a way out, some states, including Benue, Taraba and Ekiti, put in place an anti-grazing law which provides a cattle ranch and forbids the herders from roaming their cattle. On what this means for Nigeria, the lawmaker said, “the implication of this is that we have allowed our citizens to migrate to other countries because we have failed to guarantee their security. “Also, they can organise themselves and get sympathy from their kith and kin from the neighbouring countries hosting them, and attack the country in a reprisal. They are known for these cultural and traditional tendencies. These Fulani could constitute serious threat and launch a reprisal, because they are nomadic, they can’t be monitored. Speaking on the looming crisis facing the country, the lawmaker said, not less than 7,000 refugees from the English speaking area of Cameroun are currently seeking asylum in Ikom and Ogbudu, Cross River state. “The Camerounian gendarmes are in hot pursuit of these asylum seekers who they label insurgents. If this persists, it can lead to hostility between the two countries, especially when these people are already in our own country. Although a document from the United Nations High Commission for Refugees, put the figure at 5,277 as at November, but the House said the number had significantly increased with the daily influx of refugees from Cameroun. A breakdown of the figure shows 1,166 as boys, 1,378 as girls, 947 men, 1,455 women, 112 elderly men and 219 elderly women. They are all scattered across the five local governments of Boki, Etung, Ikom, Obanliku and Odukpani. President Muhammadu Buhari On Tuesday Urged Illegal Migrants To Stay Back Home, And Find Ways To Improve Their Personal Economies Instead Of Daring The Sahara Desert And The Mediterranean Sea With Scores Of Lives Lost In The Process.